John Inverdale's controversial comments about Marion Bartoli's personal appearance on Radio 5 live led to 674 complaints from listeners, the BBC has said. 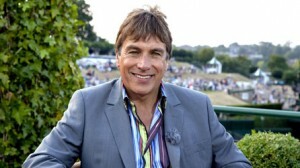 Inverdale, who anchored 5 live's coverage from Wimbledon, was forced into an on-air apology after making the comments ahead of Saturday's ladies final between Bartoli and Sabine Lisicki. While discussing her technique as a player, he had said that Bartoli was "never going to be a looker". In a statement, the BBC said: ""John is one of our most experienced presenters. "The BBC has apologised for the comment made before Saturday's final, as has John himself. John has also written a personal apology to Marion Bartoli." Inverdale himself apologised at the start of 5 live's coverage on Sunday, saying: ""Before we start, I probably ought to just briefly return to yesterday and a clumsy phrase that I used about Marion Bartoli which has understandably caused something of a furore." He added: "I've apologised to Marion by letter if any offence was caused and I do hope that we can leave the matter there."